A new study reveals that drinking tea could reduce non-cardiovascular mortality by 24 percent, possibly thanks to a combination of tea's antioxidant content and the other healthy lifestyle habits that tea drinkers often maintain. "If you have to choose between tea or coffee it's probably better to drink tea," says Professor Nicholas Danchin of the cardiology unit at the Georges Pompidou Hospital in Paris, who presented the study at the European Society of Cardiology Congress. The study's 131,401 participants ranged in age from 18 to 95 years old and data was retrieved from their health check-ups at the Paris IPC Preventive Medicine Center between January 2001 and December 2008. Consumption of coffee or tea was self-reported and participants fell into three groups: One group consumed no coffee or tea, the next consumed between one and four cups and the third group reported drinking more than four cups per day. Data revealed that coffee drinkers were at greater risk for CV, especially if they smoked. Curiously, the percentage of smokers increased with amount of coffee consumption. Of the coffee abstainers, only 17 percent smoked; of those who drank between one and four cups, 31 percent were smokers; the group who drank more than four cups smoked at a rate of 57 percent. Coffee abstainers were also more physically active: 45 percent of them engaged in exercise compared with 41 percent of heavy coffee drinkers. Although it may seem like a small difference, Professor Danchin points out that four percent accounts for many people given the size of the study. The profile of tea drinkers was the reverse of that of coffee drinkers. One third, or 34 percent, of tea abstainers were smokers compared to only 24 percent of tea drinkers who drank one to four cups and 29 percent of those who drank more than four cups. Tea drinkers were more active relative to how much tea they consumed, with 43 percent of moderate tea drinkers being active compared to 46 percent of the heavy tea drinkers. When researchers adjusted the data for age, it was revealed that heavy drinkers had a 4-5 mmHg decrease in systolic blood pressure (SBP) and a 3 mmHg decrease in diastolic blood pressure (DBP). "Overall we tend to have a higher risk profile for coffee drinkers and a lower risk profile for tea drinkers," says Professor Danchin. "We also found big differences with gender. 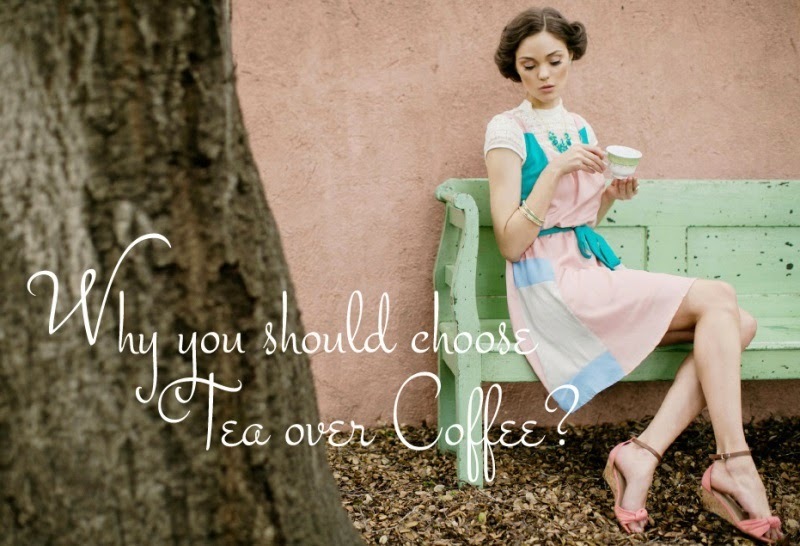 Men tend to drink coffee much more than women, while women tend to drink more tea than men." A mean 3.5 year follow up indicated there had been 95 deaths from CV and 632 deaths from other causes. Coffee consumption appeared to significantly increase non-CV mortality although when the data was adjusted for smoking, the increased risk disappeared. "The trend for higher mortality in coffee drinkers is probably largely explained by the fact that there are more smokers in the group who drink a lot of coffee," says Professor Danchin. As with coffee, when tea drinkers were assessed for risk of CV mortality, the reduction effect lost its significance when the data was adjusted for age, gender and smoking. Tea, however, significantly lowered the risk of non-CV death, for the hazard ratio was 0.76 percent compared with tea abstainers.